A criticism of some research involving Aboriginal people is that it is not equitable in its design or application, further disadvantaging the poor and marginalized. In Australia, much research has been done on Aboriginal people, but Aboriginal people themselves have benefited little, adding to distrust between Aboriginal and non-Aboriginal people over many years. Is it possible to take “scientific” research practices and transform them into research that can be done with a community rather than on a community? How can research findings benefit Aboriginal people? This chapter shares our study of Aboriginal people’s stories of diabetes care. It is a collaborative story told by four Aboriginal Health Workers and two non-Aboriginal researchers which focuses on methodology rather than findings. We share aspects of our research which we propose values Aboriginal people and invites participation and reciprocity at design, data collection, and research translation stages. We discuss tensions which occur between the “scientific way” and the “culturally appropriate way” and describe how we resolved this. Imposing research designs and practices on Aboriginal people and communities without consideration that each community is unique has the potential to cause further harm and disempowerment. Valuing an Aboriginal way of knowing influenced all aspects of our study design and procedures. 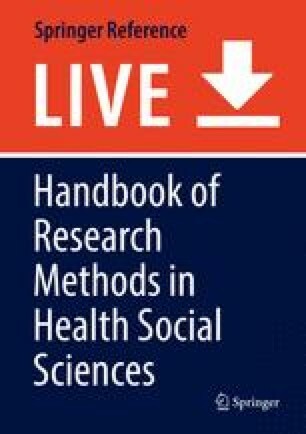 We would like to inspire others to challenge methodological norms to develop research methods with their community to allow the unique voice of their community to be heard and for this to facilitate pragmatic change leading to meaningful improvements in health. Aboriginal Health and Medical Research Council Ethics Committee. AH&MRC guidelines for research into aboriginal health: key principles. 2013. http://www.ahmrc.org.au/media/resources/ethics/ethics-application-resources/271-ah-mrc-guidelines-for-research-into-aboriginal-health-key-principles-1/file.html. Accessed 6 Nov 2016. Australian Bureau of Statistics. 2011 Census QuickStats. Dubbo LGA (C). 2011. Retrieved from http://www.censusdata.abs.gov.au/census_services/getproduct/census/2011/quickstat/LGA12600?opendocument&navpos=220. Accessed 6 Nov 2016. Australian Indigenous Health Infonet. Feltman (2010). 2015. http://www.healthinfonet.ecu.edu.au/key-resources/promotion-resources?lid=19500. Accessed 6 Nov 2016. NSW Department of Health. NSW integrated care strategy. 2015. http://www.health.nsw.gov.au/integratedcare/Pages/Integrated-Care-Strategy.aspx. Accessed 6 Nov 2016. NSW Government Office of Environment & Heritage. Living on Aboriginal reserves and stations: research resources for Aboriginal heritage. 2012. http://www.environment.nsw.gov.au/chresearch/ReserveStation.htm. Accessed 6 Nov 2016. Tsey K, Lawson K, Kinchin I, Bainbridge R, McCalman J, Watkin F, et al. Evaluating research impact: the development of a research for impact tool. Front Public Health. 2016;4:Article 160. doi: 10.3389/fpubh.2016.00160.